You site news management – news items added manually and news feeds. “News” tab shows all site news for a certain language interface. You can enable, disable, edit or remove news. Press “Add new” to add a news item manually. 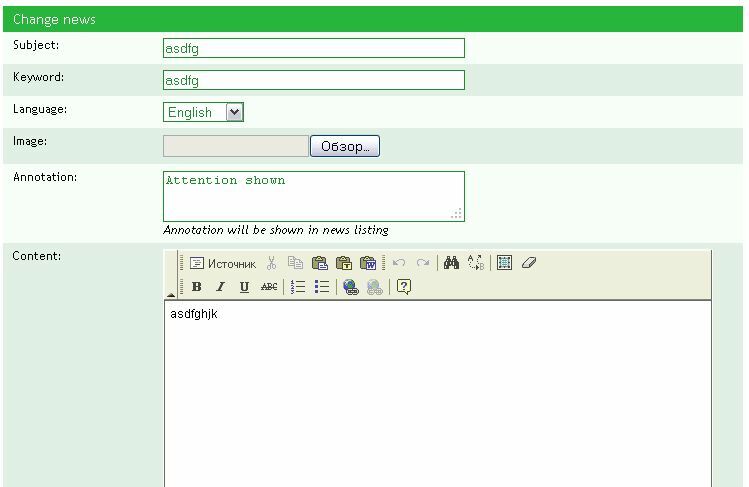 Fill in news name, keywords, choose language interface, upload image, news summary and news content. News content is edited with the help of FCKeditor. “Feeds” tab shows your news feeds for a certain language interface. You can enable, disable, edit, run and remove a feed. 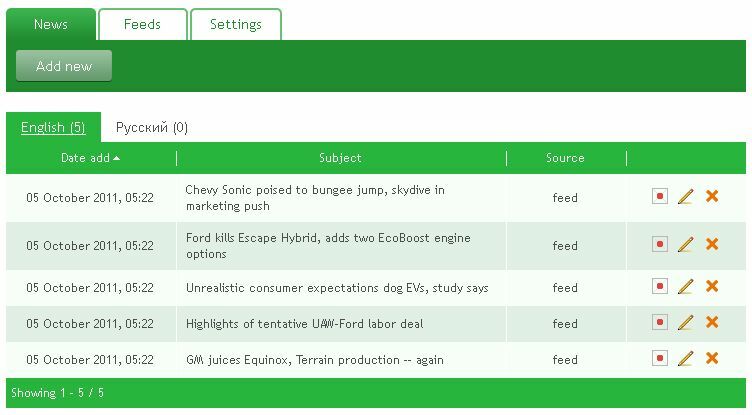 When adding a new news feed, fill in feed url, max number of news items imported from news feed and language interface. Feed title is imported from feed and can’t be edited. 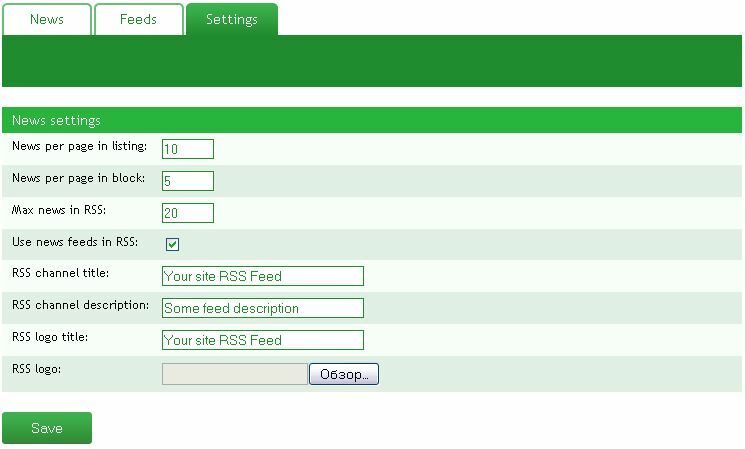 These are your site news settings: news items per page and RSS channel settings (title, description and logo).